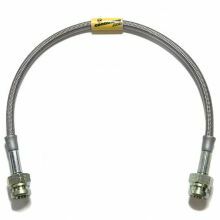 Goodridge G-Stop High Performance Race-Bred Street Brake Line Kits are constructed from the finest quality hose, consisting of a PTFE inner hose covered by braided stainless steel. This hose provides a more responsive and firm brake pedal by eliminating the "spongy" feel that often accompanies stock rubber brake lines. 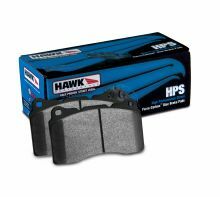 Additionally, when G-Stop brake hoses are used with an ABS braking system they virtually eliminate brake pedal "chatter" and significantly reduce stopping distance. 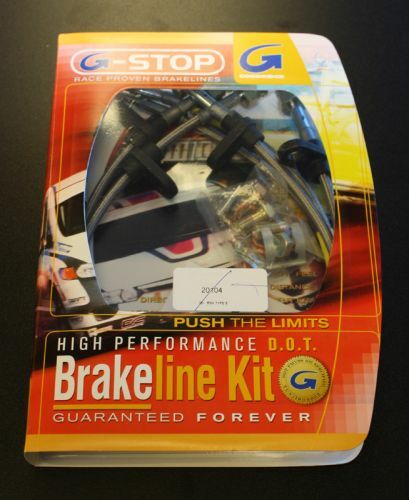 G-Stop High Performance Brakelines are abrasion and corrosion resistant to stay good looking for a long time to come. Goodridge G-Stop High Performance Brakeline Kits are direct bolt-on replacements for all of the rubber brake lines in the vehicle's brake system. 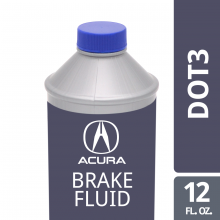 (Three to six brake lines are included in each kit depending on the vehicle's original design). 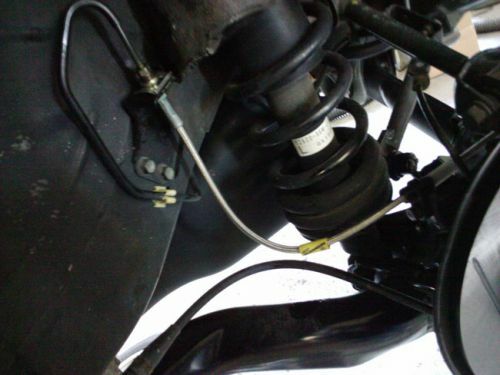 To ensure proper fit and easy installation, hose ends and brake line brackets that match the vehicle's original equipment style are used for each application. All Goodridge G-Stop High Performance Brakelines go through a 9-point Quality Assurance testing process that includes measuring tensile strength and the ability to contain line pressure to 3,000 pounds per square inch. 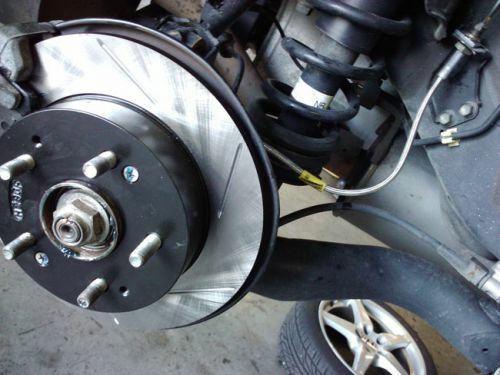 These are an upgrade, fairly inexpensive compared to jdm brand upgrades. Had no problems with installation. Just make sure to have a buddy to help bleed the lines when your done. Remember to avoid over tightening the bolts to avoid stripping the threads. Pedal feel is noticeably better with repeated heavy braking. An awesome upgrade for looks as well as feel. 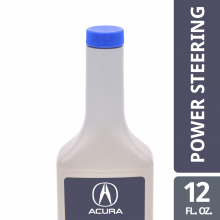 A must have for auto crossing and road racing.